Quality used tools for sale Colorado Springs. If you’ve ever thought about where to buy used tools in Colorado Springs, look no further than Acme Pawn Shop. Everyone is always trying to stay on budget and save money now days. Acme Pawn has all the tools you need for that honey-do list. Forget about renting tools. With the best priced used tools in Colorado Springs, you’ll be able expand your own tool supply as well as expanding your handyman (or handylady) skills. Acme Pawn has all the used power tool equipment you’ve been looking for at a fraction of the cost. All Acme Pawn’s used tools are tested, and you’re welcome to have them re-tested before you decide to buy used tools from ACME Pawn. The unexpected is found every day at ACME Pawn shops. When you don’t have the money on hand, you can layaway your used tools with 20% down and make monthly payments of 20%. That’s 4 months to make your payments. 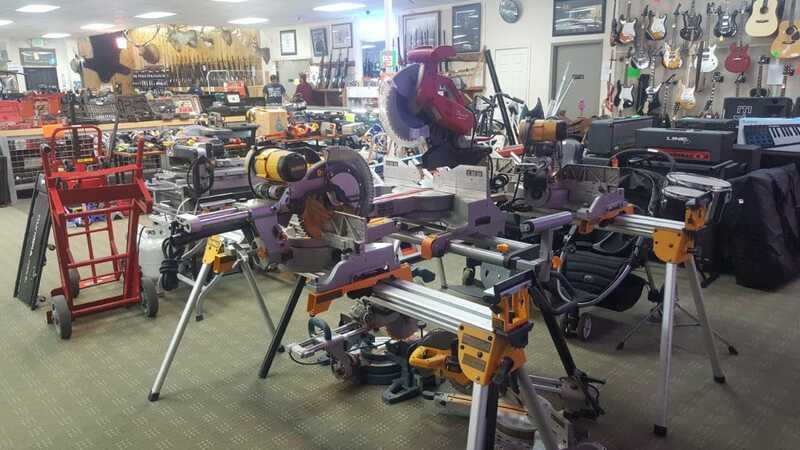 During the layaway period, your used power tools and anything else you would like to layaway, will be held in our secure layaway area until you make your final payment.